The Pride T-Shirt Design includes print-ready files of the branded T-Shirt distributed at San Francisco Gay Pride to remind people of the importance of mental in the LGBTQ community. This T-Shirt is a reminder for people to be aware of the stigma and barriers for individuals in the LGBTQ community with a mental health challenge and encourages help-seeking for those in need. 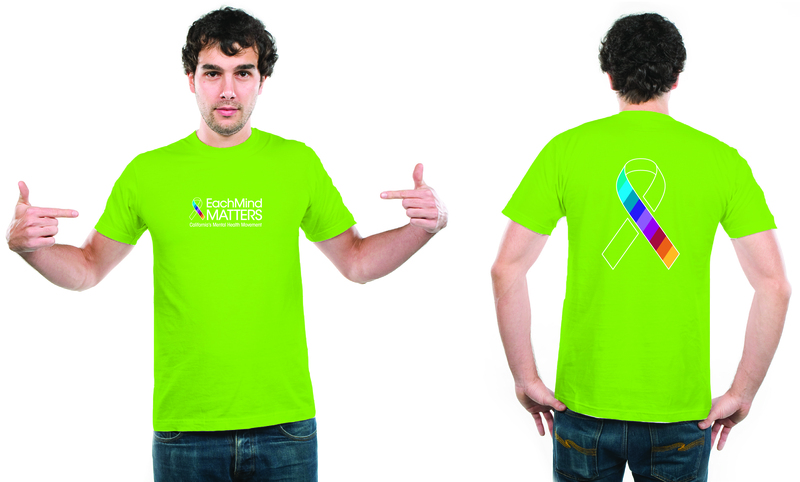 The Pride T-Shirt is also available for purchase through the Each Mind Matters Shop.